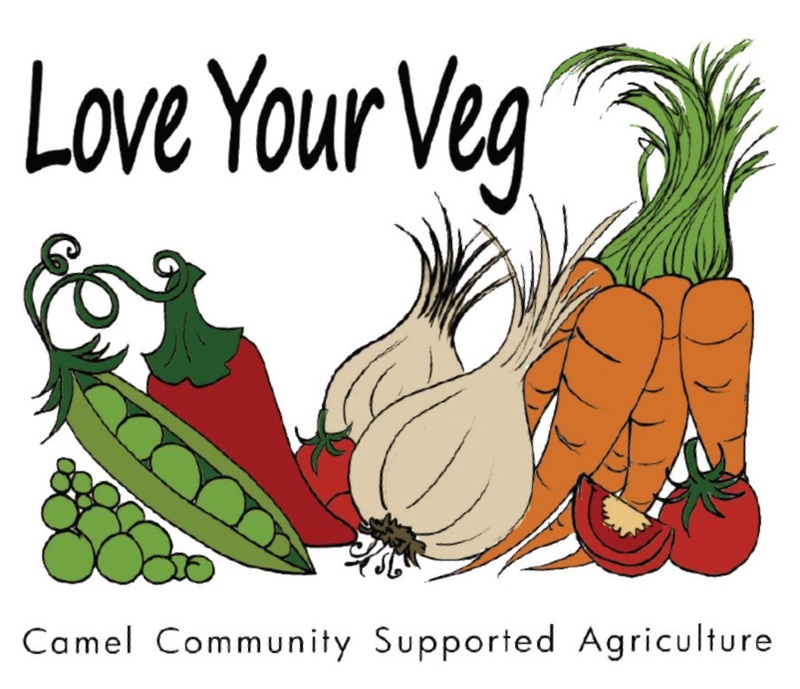 Bulgar wheat salad has an earthy taste and uses an abundance of parsley, which features in Camel Community Supported Agriculture’s veg boxes this week. This well-tried version of tabbouleh comes from Claudia Roden’s classic A Book of Middle Eastern Food. Soak the bulgar wheat in water for about half an hour before preparing the salad. It will expand enormously. Drain and squeeze out as much moisture as possible with your hands. Spread out to dry further on a cloth. Mix the bulgar wheat with the chopped onions, squeezing with your hands to crush the onions so that their juices penetrate the wheat. Season to taste with salt and pepper. Add the parsley, mint, olive oil and lemon juice, and mix well. Taste to see if more salt, pepper or lemon are required. The salad should be distinctly lemony. 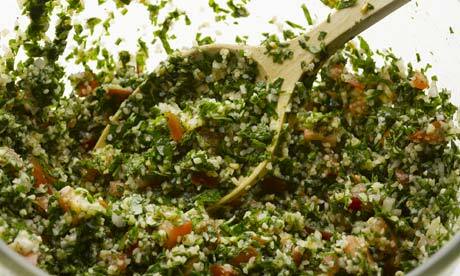 Tabbouleh is traditionally served in individual plates lined with boiled vine leaves, or raw lettuce or cabbage leaves. People scoop the salad up with more leaves, served in a separate bowl beside it. Claudia Roden adds: “As with most dishes, the preparation is highly individual. Quantities of ingredients vary with every family, but parsley is always used abundantly. This is a great Lebanese favourite.” More about Claudia Roden. Compare her relaxed approach to Yotam Ottolenghi, chef/patron at Ottolenghi in London. He insists there’s a right way and a wrong way to make this refreshing summer salad. Click here to find out what he claims is the right way to do it. To give the Tabbouleh a bit of a fruity twist add 4 chopped tomatoes, 3oz mixed dried fruit ie apricots,dates,figs and a couple of oz of pitted black olives. It’s a nice touch to peel the lemon, slice it into rounds and then cut into segments so that you get little zingy bits of lemon throughout the salad!! Toasted pine nuts take it to another level! !